Dr. Laurence C. Breiterman of Advanced Dental Techniques now provides a treatment that eradicates gum disease using advanced laser technology. With the help of the Laser Assisted New Attachment Procedure, periodontal disease can be removed, thus preparing the mouth for dental implants. 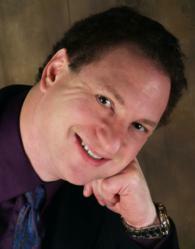 Dr. Laurence C. Breiterman is now treating gum disease with laser gum surgery. Dr. Laurence C. Breiterman of Advanced Dental Techniques now uses the Laser Assisted New Attachment Procedure (LANAP) to help restore a patient’s full and natural smile. This advanced laser gum disease treatment is used to clean periodontal disease, which is the first step in preparing someone who has lost teeth for receiving dental implants. Using LANAP, Dr. Breiterman can actually kill and remove bacteria from the diseased gum tissue. This process is extremely effective and the pain and discomfort are minimal for nearly all patients. LANAP also stimulates bone growth in many patients, which is very important if a person has lost a tooth or multiple teeth due to periodontal disease. In order to securely place an implant there must be sufficient bone density so the implant can be fused with the existing jawbone. Once a person has received the proper gum disease treatment, Dr. Breiterman can then begin the process of placing the dental implants. Dental implants are the new standard in tooth replacement. Dentures, bridges, and crowns are still commonly used, but these treatments typically only offer short-term solutions and are often difficult to maintain. Implants, however, are more natural looking, more comfortable, and offer many more long-term benefits. Implants are made of titanium, which is compatible with the human body and much more comfortable than a denture. Implants are also very stable, and there is no slipping as is often the case with dentures. An implant can replace one or multiple teeth, whereas a denture can only replace multiple or all teeth. Implants also help preserve the jawbone, while dentures rest on the gums and do not create any stimulation. This causes the jawbone to deteriorate over time. Dr. Breiterman assesses each patient’s individual needs to determine the most suitable dental implant procedure. Dental implants are a secure and effective method for replacing one or multiple teeth. Those interested in learning more about implants can visit http://www.newjerseygumsurgery.com.